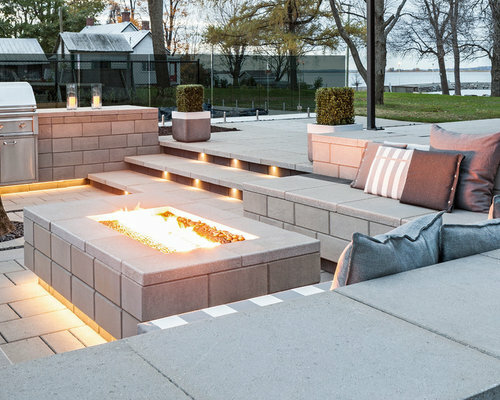 Modernscaping takes a controlled and minimalistic approach to design with clean lines, pristine surfaces and a monochrome color palette. 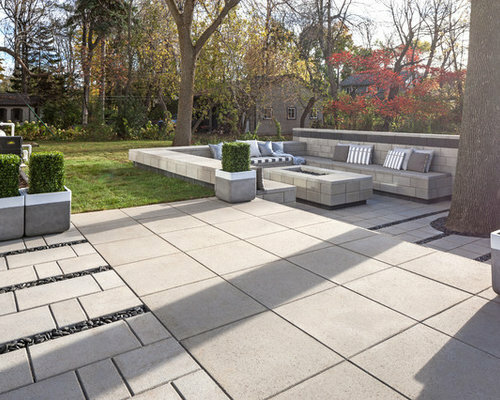 Techo-Bloc’s new Greyed Nickel color combined with the smooth surfaces of the Raffinato wall and Industria slab creates a perfect pairing for ultra-sleek applications. 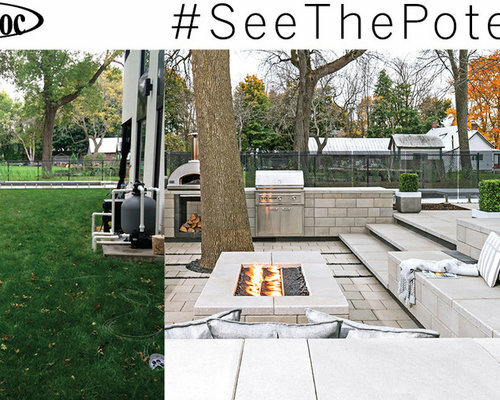 The sleek firepit and brand-new pizza oven offers a balance to contemporary design minimalism with the warmth of outdoor fire features. 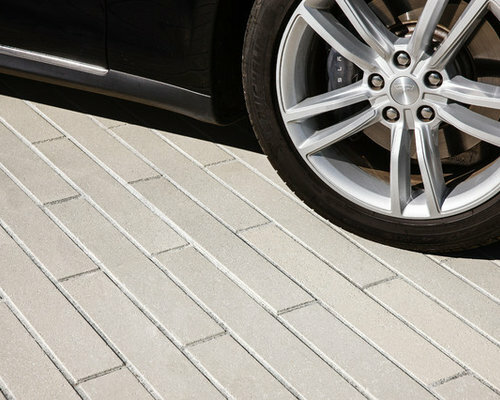 A contemporary paver, intended for commercial and municipal pedestrian use, Industria is available in a variety of sizes allowing for great design flexibility, giving each project an exclusive appearance. 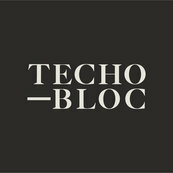 Available in smooth, polished and Granitex. 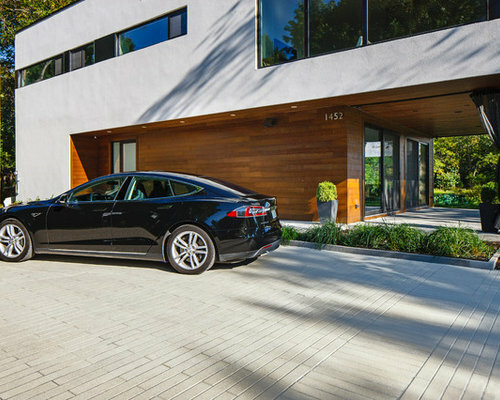 A contemporary slab, intended for commercial and municipal pedestrian use, Industria’s streigth edges will give each project a modern and exclusive appearance. 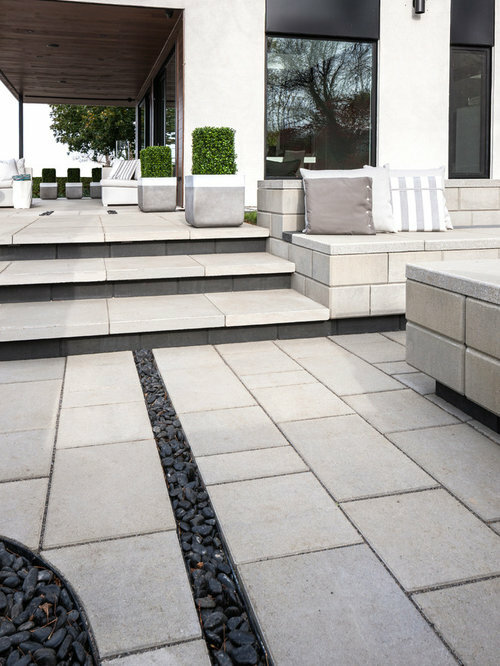 Available in smooth, polished and Granitex finishes. 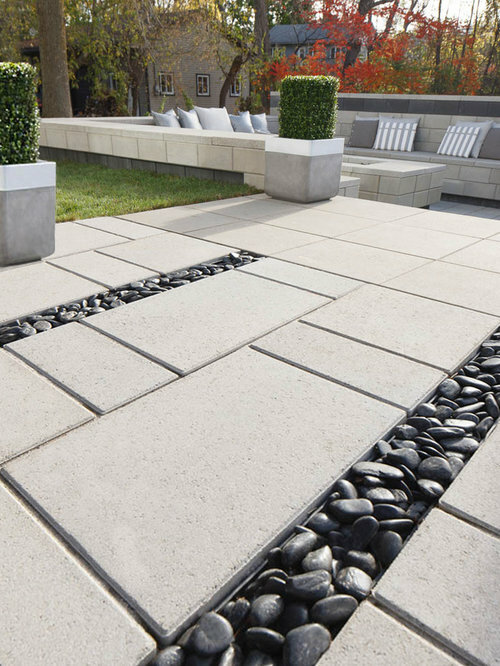 The sleek, polished look of the Raffinato collection has now been extended to an edging application. 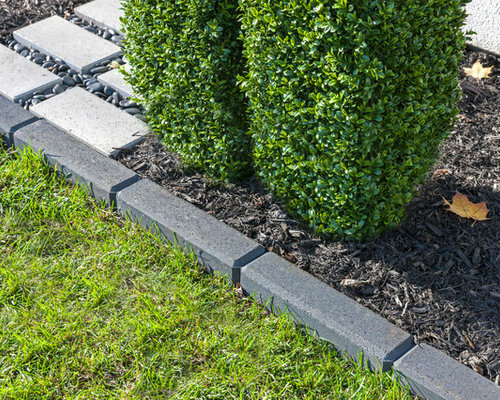 The Raffinato edge/corner/pillar’s versatility extends beyond offering a modern alternative for bordering driveways or flowerbeds; it can also be used for wall corners or to build pillars.